19 year old Miss Herrera, Sheldry Nazareth Saez Bustavino from Chitre was crowned Miss Panama Universe / Universo 2011 in a beauty pageant held on May 26 at the Atlapa Convention Center, Ciudad de Panama. She was crowned by Senorita Panama 2010, Anyoli Abrego. Miss Herrera, Sheldry Nazareth Saez Bustavino is a student of marketing and she stands 1.71m tall. She will represent Panama at Miss Universe 2011 beauty pageant to be held on September 12 in Sao Paulo, Brazil. Crowned as Miss Panama World / Mundo 2011 was the 23 year old Miss Veraguas, Irene Nunez Quintero. She will compete in Miss World 2011 beauty contest on November 6 in London, UK. And named as Miss Panama Supranational 2011 was 20 year old Miss Distrito Central, Keity Mendieta Britto. She will compete at Miss Supranational 2011 pageant in Plock, Poland on August 27. Completing the top 6 finalists were Miss Bocas del Toro, Marielena Gonzalez Pena, Miss Los Santos, Marisel Medina and Miss Panama Este, Jelenska Garcia. 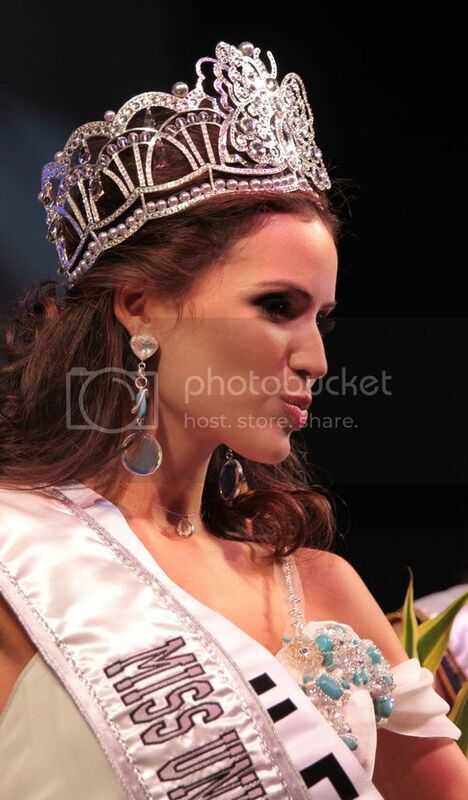 * Miss Friendship: Miss Panama Este, Jelenska Garcia.